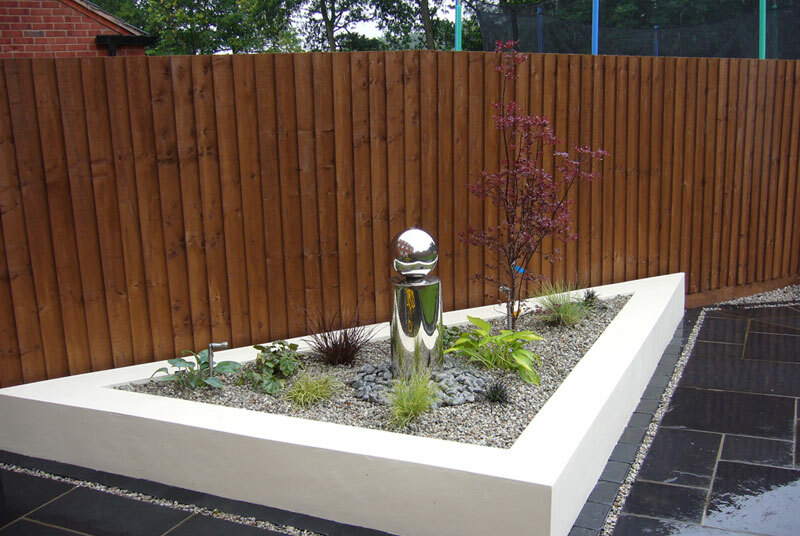 A modern and stylish design, perfect for socialising with friends and unwinding. 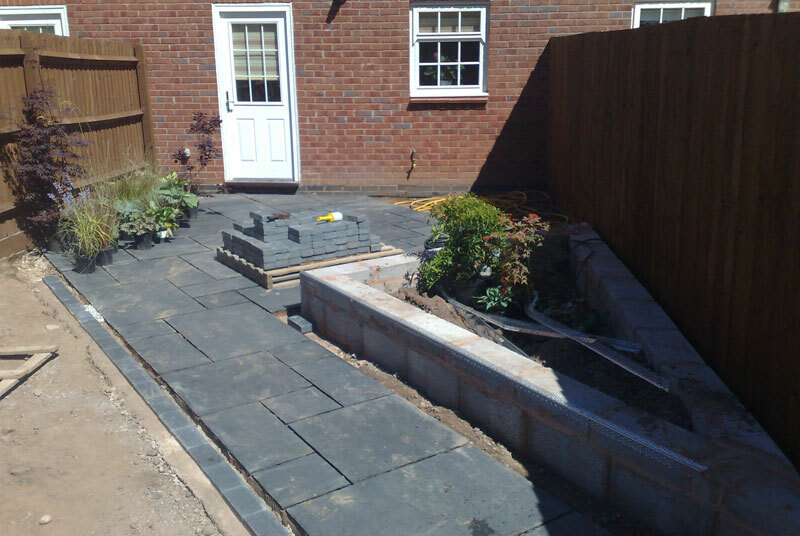 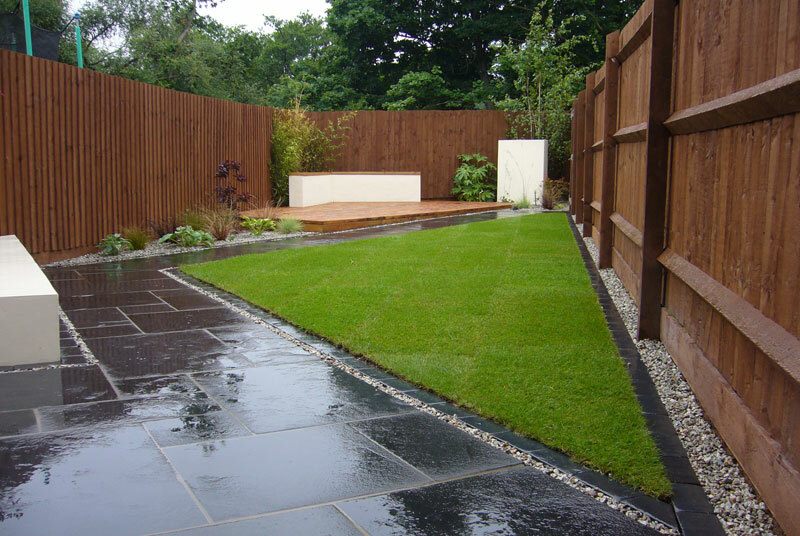 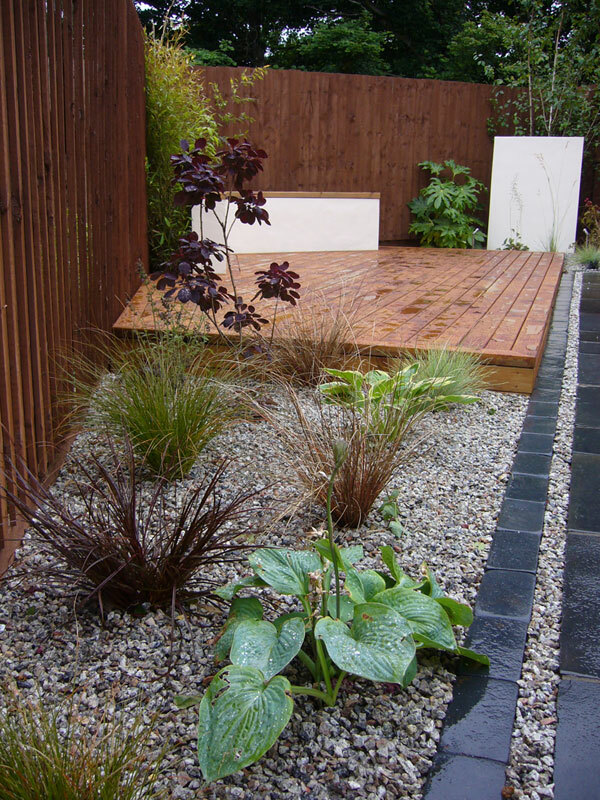 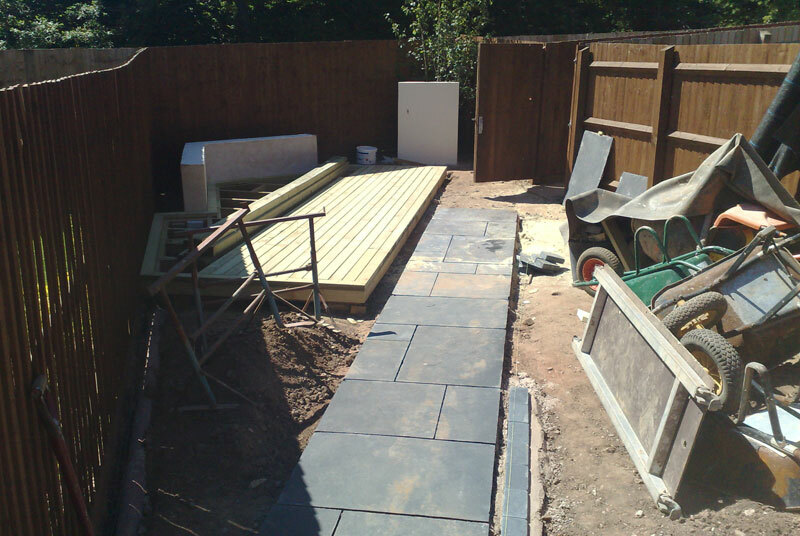 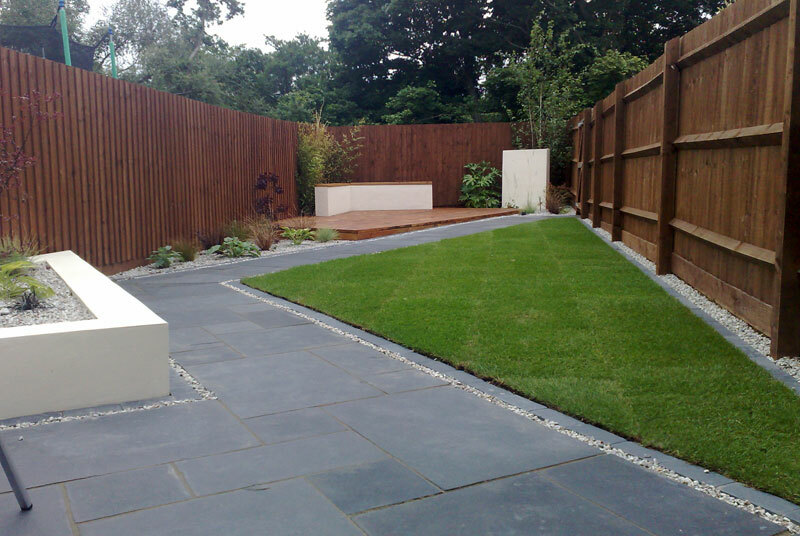 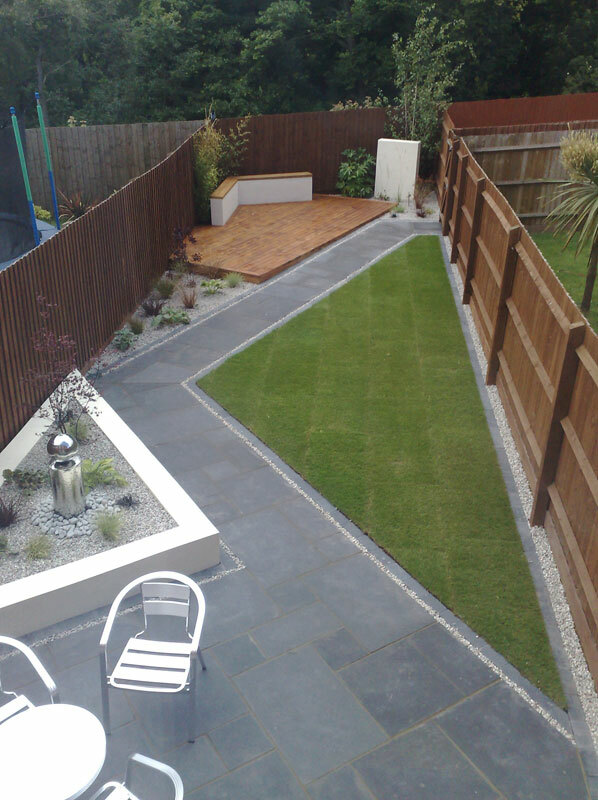 This particular garden is low maintenance and child friendly, offering both a black limestone paved area and deck space for seating. 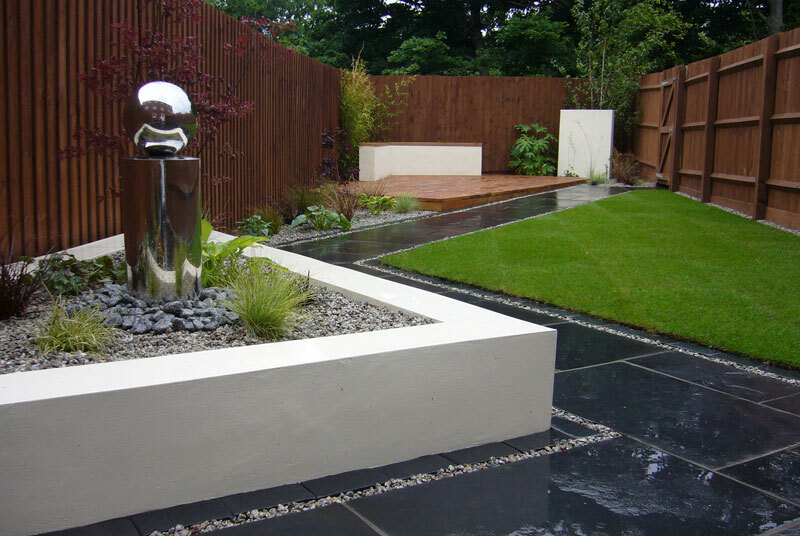 The shaped lawn, rendered walls, and range of plants offer colour contrasts to the patio and deck, whilst the bubbling water feature completes the relaxing atmosphere.